Its a cold, wet, afternoon … again. I’m a bit weary, and feel like I’m fighting off a cold. So now is the time to reach for those great piles of vegetables we vegans are always consuming .. Isn’t it? … Nope! 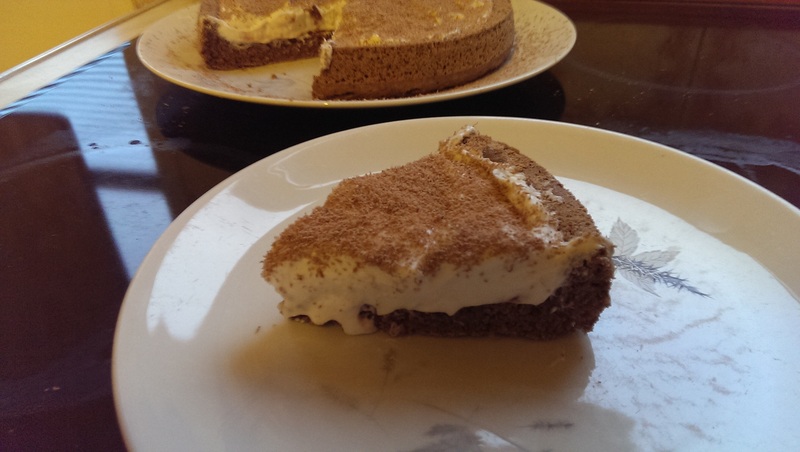 This was a quick, thrown together recipe, that came out nicely and reminds me very much of the pre-made flan cases … Which has to be usable at a future point .. Also there’s no added fat in the batter so it is slightly healthier .. Maybe .. Until the toppings anyway! I’m presently lacking a full sized oven, so am using a toaster oven which is handling every challenge I throw at it! 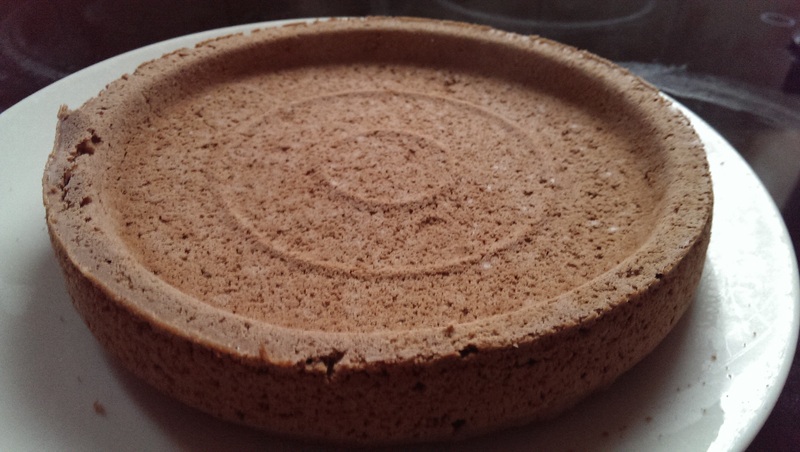 9 inch sandwich cake tin or flan tin. Toppings to serve, I used raspberry jam and vegan whipped cream. 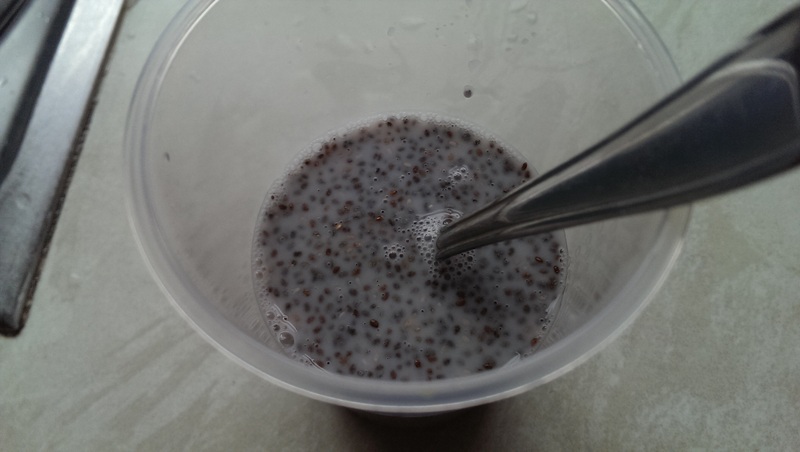 Start by soaking the chia seed in the almond milk. 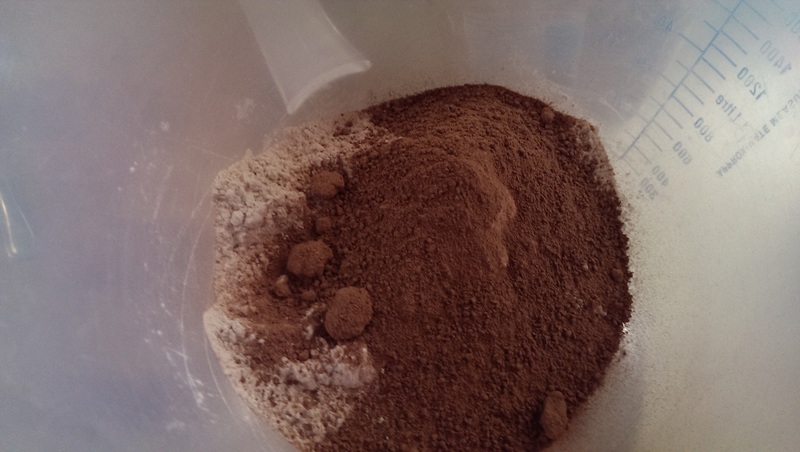 Weigh out and mix together the flour, cocoa, sugar, baking powder and salt .. As you can see from my picture you could sieve them, but a decent stir will fix any lumps. Add the almond milk/chia seed mix to the dry ingredients and mix well. It gives a fairly sloppy mixture. 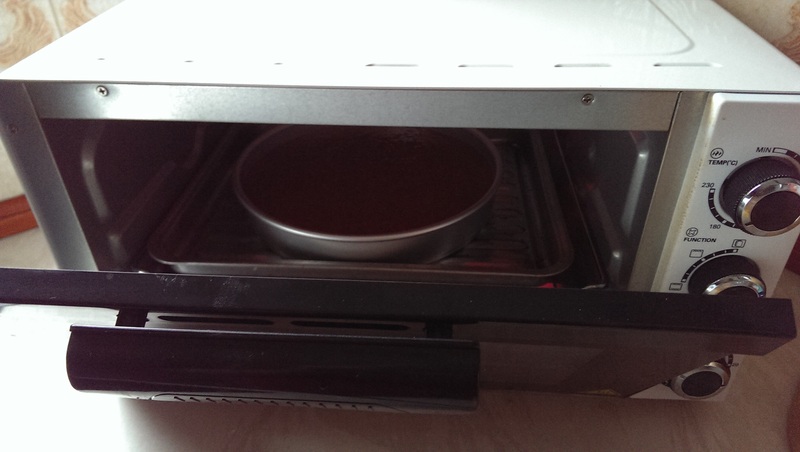 Pour into your cake tin and bake at 180 Celsius for about 20 minutes. 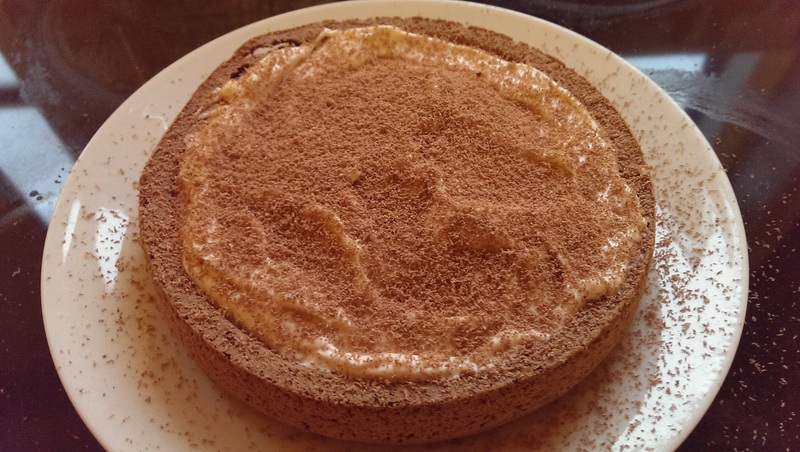 I then microwaved some raspberry jam and spread it over the top, before piling vegan whipped cream and grated chocolate on the top. It certainly beat the blues!